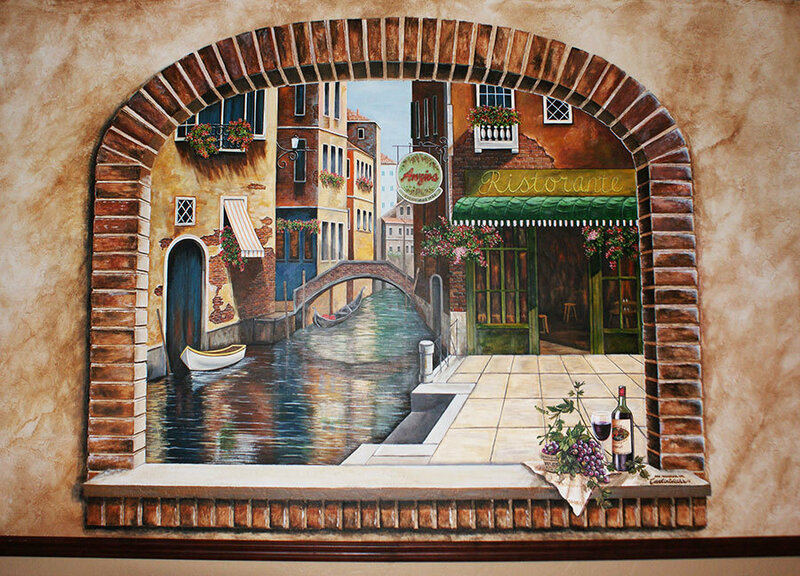 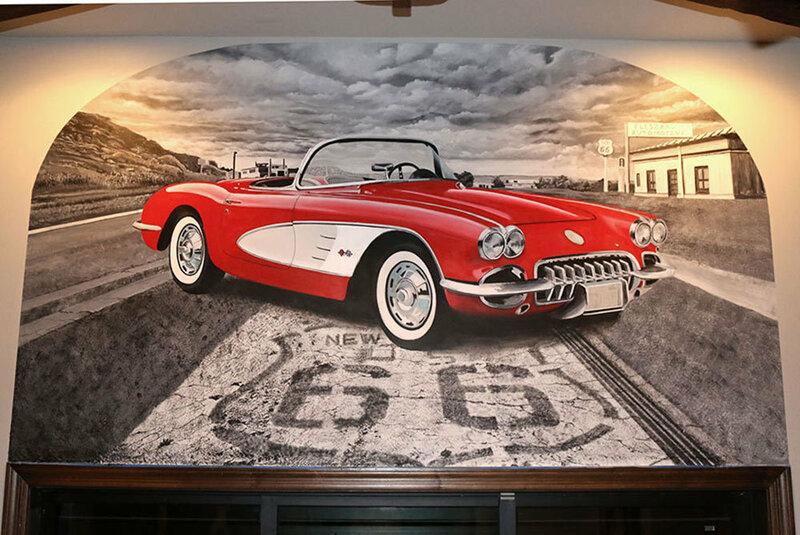 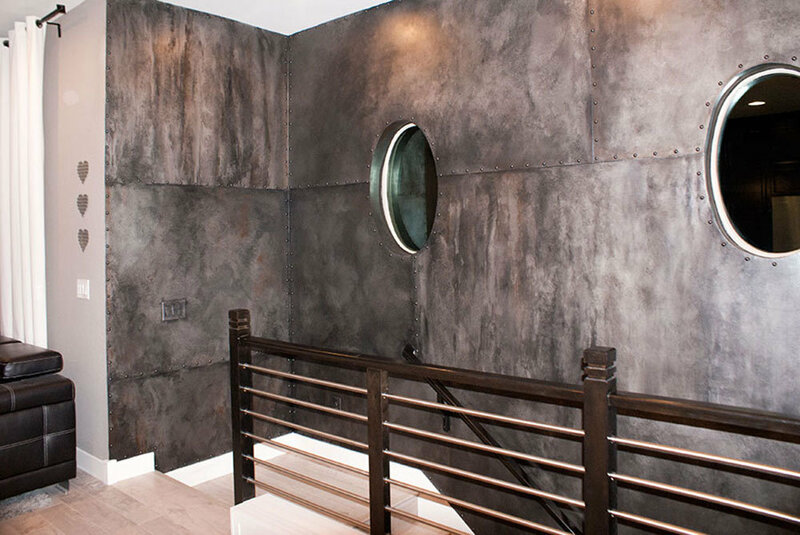 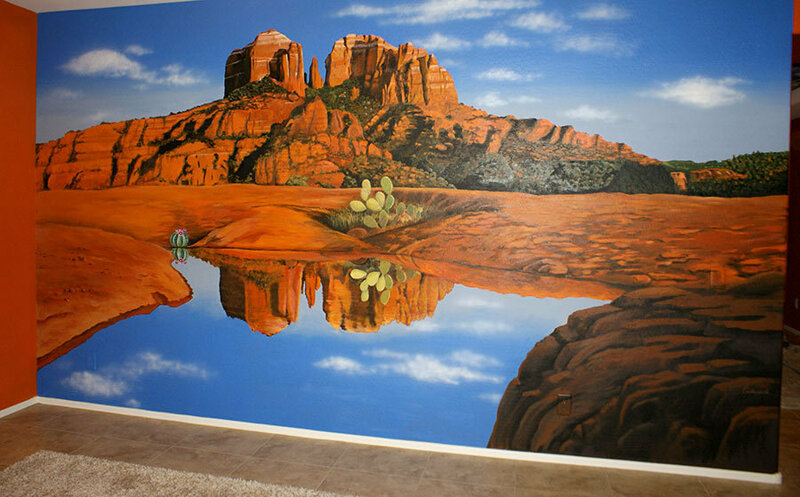 Transforming plain walls into beautiful walls with specialty finishes and custom murals! 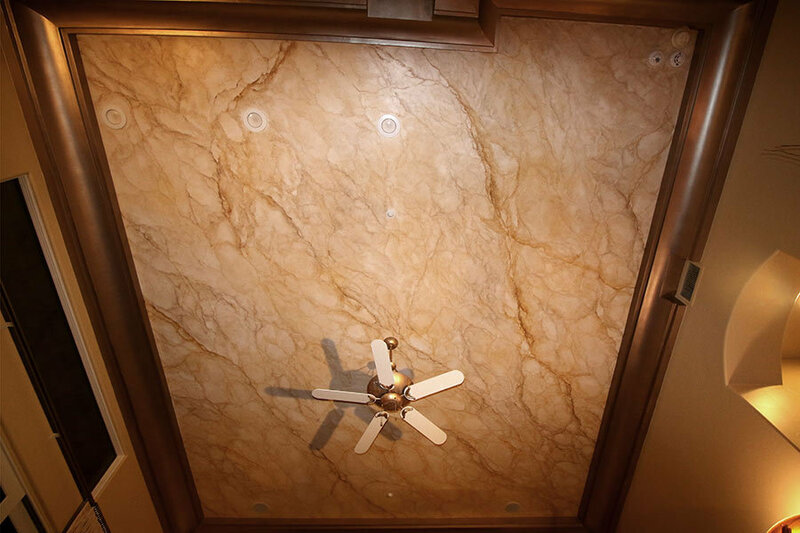 We hand-painted a marble slab on the master bedroom ceiling. 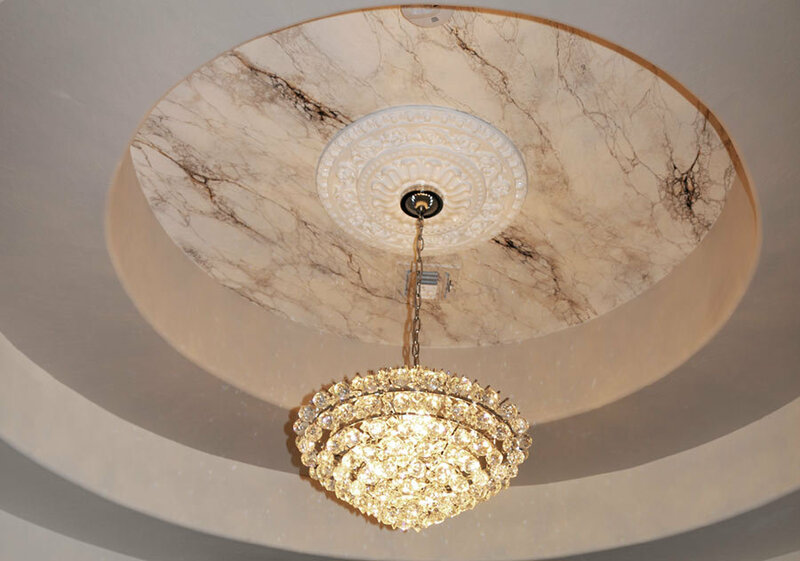 What a difference it makes to marbleize a ceiling! 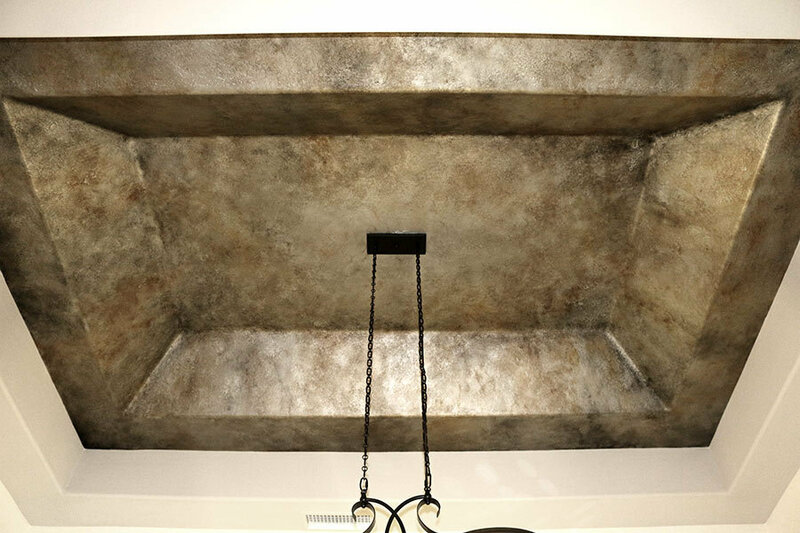 Imagine waking up to that instead of a boring, plain ceiling!